My second year at Denver Comic Con was nothing short of amazing! As always, Denver put on a great show that included a ton of impressive top-tier talent including David Tennant and Bonnie Wright from Harry Potter. Loads of great cosplay walked the floor throughout the weekend and were shown off at the Harry Potter cosplay photo shoot meet-up. And the con floor was full of amazing Harry Potter merchandise and art work! Bonnie Wright and David Tennant both put on wonderful panels! As David Tennant doesn’t have a huge presence in Harry Potter, it wasn’t discussed much it in his panel. A fan did ask what house he would be sorted into, though, and he responded with Slytherin (for all of you snakes out there!). Bonnie’s panel was full of magic. She discussed her journey to being a part of Harry Potter, projects she’s working on now, her favorite shooting moments, and much more! Denver Comic Con filmed her panel and you can watch it by clicking here. The Harry Potter cosplay this year was very impressive! This year’s photoshoot was at 11am on Friday morning so the turnout was a bit smaller than last year’s, but some great costumes showed up nonetheless! My personal favorite was this creative, handmade Hogwarts Express! I’m a sucker for all things handmade Harry Potter, so this cosplay made me so excited when I saw it. I loved the touch of the house colored tape on the shoulder straps, and the trolley witch with all of her candies was such an awesome touch. Another favorite of mine was this beautiful little Trelawney! Her vibes for the character were so perfect and the extra details on the cosplay were fantastic. The necklace, hairband, and bag just screamed Trelawney. She even had a grim painted in her teacup and had braided her hair for awhile to give it the mad Trelawney look. Talk about dedication! I might be a little biased here because Chelsea is my friend, but she makes for a beautiful Fleur. This costume was designed by Lottie Lumos, who makes beautifully handmade Harry Potter costumes. 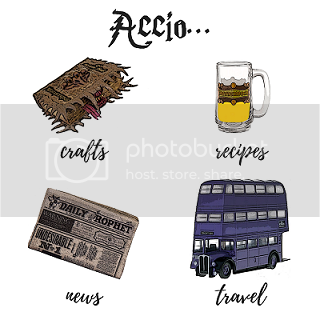 Be sure to check her out if you’re looking for a Harry Potter cosplay, she does wonderful work (which includes my Slughorn armchair if you saw that at the con!). I absolutely love the Denver-based nonprofit that Denver Comic Con teams up with, Pop Culture Classroom (PCC). What they do reminds me a lot of what has come out of the Harry Potter series- teaching others diversity, allowing all the opportunity to be educated, valuing respect, and recognizing each person’s intrinsic dignity and importance among others. To learn more about Denver Comic Con and their role with PCC, click here.